Graphic novels (kurimchaek) are a major art form in North Korea, produced by agents of the regime to set out its vision in a range of important areas. 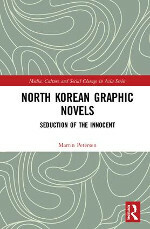 This book provides an analysis of North Korean graphic novels, discussing the ideals they promote and the tensions within those ideals, and examining the reception of graphic novels in North Korea and by North Korean refugees in South Korea. Particular themes considered include the ideal family and how the regime promotes this; patriotism, and its conflict with class identities; and the portrayal of the Korean War – „The Fatherland Liberation War“, as it is known in North Korea – and the subsequent, continuing stand-off. 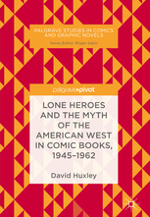 Overall, the book demonstrates the importance of graphic novels in North Korea as a tool for bringing up children and for promoting North Korean ideals. 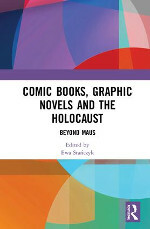 In addition, however, the book also shows that although the regime sees the imaginative power of graphic novels as a necessity for effective communication, graphic novels are also viewed with caution in that they exist in everyday social life in ways that the regime may be aware of, and seeks to control, but cannot dominate completely. 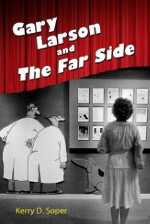 Kerry D. Soper reminds us of The Far Side’s groundbreaking qualities and cultural significance in Gary Larson and „The Far Side.“ In the 1980s, Gary Larson (b. 1950) shook up a staid comics page by introducing a set of aesthetic devices, comedic tones, and philosophical frames that challenged and delighted many readers, even while upsetting and confusing others. 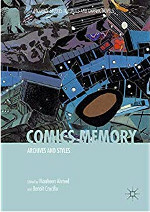 His irreverent, single panels served as an alternative reality to the tame comedy of the family-friendly newspaper comics page, as well as the pervasive, button-down consumerism and conformity of the Reagan era.